for $124,900. The lot size is 0.49 Acre(s). 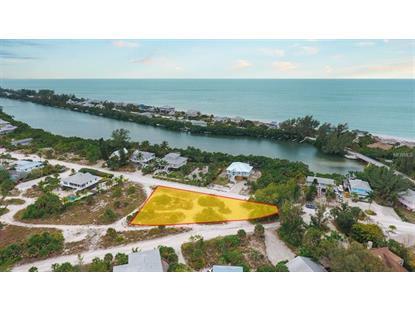 This almost 1/2 acre single family lot is open on 3 sides and offers panoramic views from gulf and bay . Room for a large home and cul de sac driveway, and a short distance from the Ferry. Includes a 1/22 interest in local community dock. 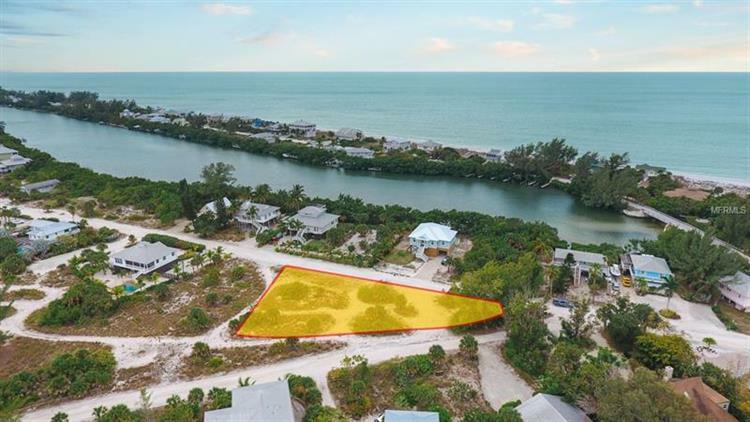 This Oversized home site on Palm Island, a barrier island, located on the Gulf of Mexico Florida situated between Fort Meyers to the south and Sarasota/Tampa to the north. Conveniently located near shopping, restaurants and medical facilities. The privacy of Palm Island and easy access for daily living needs gives you the best of both worlds. This home site is sized for a circular driveway for plenty of parking and has partial ownership in a bay dock for possible boat dockage. The island is only accessible via private boat or the car/passenger ferry service. You have 7 miles of pristine, white sugar sand with sea shells and sharks teeth galore for the collector in you. This island is surrounded by the crystal clear waters of the Gulf and the intricate water way of Bocilla lagoon/canal with deep water access for boating in the Bay and Gulf. Build your dream home on this island with daily glorious sunsets or hold on to this unique piece of paradise as an investment. A private airport is also in the area.